So today Im showing you a CAS card I made using my acrylic block as a background and using a new stamp set from the new Annual Catalogue called Blooming with Kindness. 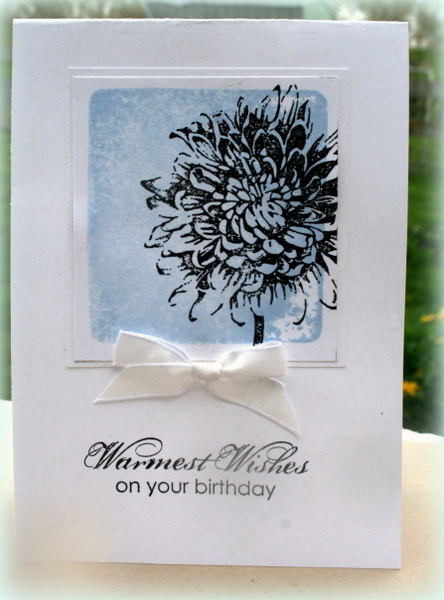 I used Bashful Blue as my colour for my background and the flower is black embossed. The sentiments (and font) is one of my favourites from the new catalogue and I will be using this set often. The beauty of this set was that I got it for free at our latest South Pacific Convention end of May. There is just 9 days to get your retirement list orders in ..dont miss out! Email me today to place your order. I have to say this is one of my favorites. Real fresh looking and not over done!! 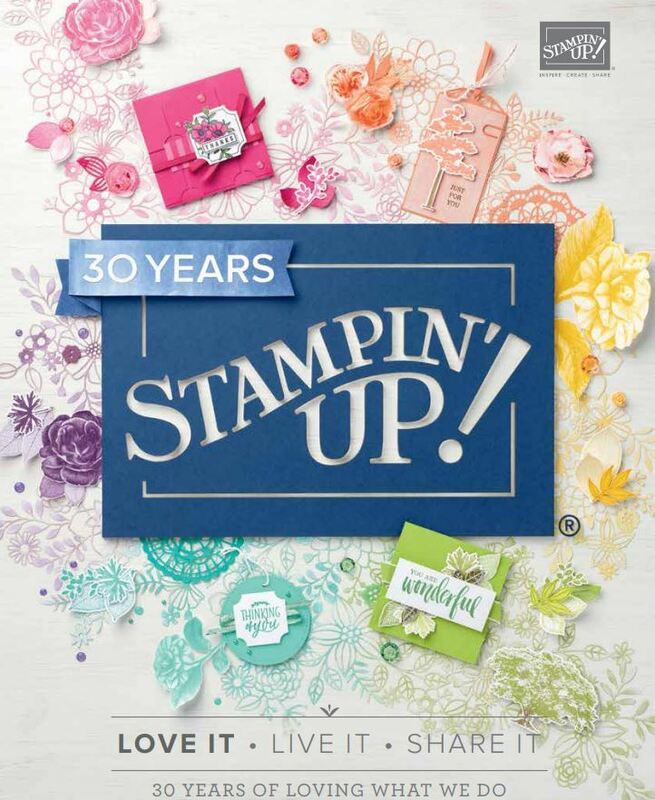 Guess the stamp set is on top of my wish list. LOVE!! I adore the flower, and all but one of the sentiments in the set …. will be getting this for sure. Love the effect of stamping with the acrylic block – and then embossing the image over is such a great idea to get a CAS but stunning effect! This sets on my list too!